KG and JB are back to rock your socks off! They're Back To ROck Your Socks Off! 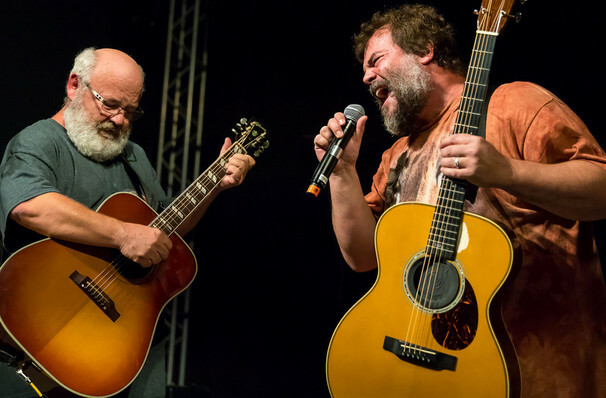 Formed in LA 1994, Tenacious D consists of lead vocalist and guitarist Jack Black and lead guitarist and vocalist Kyle Gass. The band first gained popularity in 1997 when they appeared in their television series; The Adventures of Tenacious D.
2001 saw the release of their debut album, and the single 'Tribute' was the bands most successful being their only track to reach Top 10 in any charts. By 2006 the band had grown greatly in strength, the duo starred, and recorded the soundtrack for the incredible and hilarious film 'Tenacious D: The Pick of Destiny. Sound good to you? 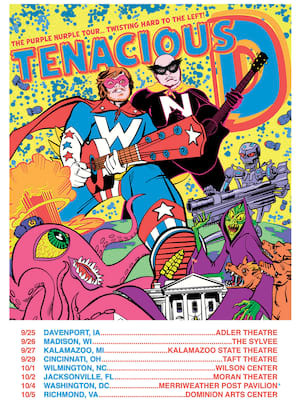 Share this page on social media and let your friends know about Tenacious D at The Joint. Please note: The term The Joint and/or Tenacious D as well as all associated graphics, logos, and/or other trademarks, tradenames or copyrights are the property of the The Joint and/or Tenacious D and are used herein for factual descriptive purposes only. We are in no way associated with or authorized by the The Joint and/or Tenacious D and neither that entity nor any of its affiliates have licensed or endorsed us to sell tickets, goods and or services in conjunction with their events.